I find that I do enjoy posting some of my regular coursework, whether or not it brings in the page views and comments! This post’s selection comes from my Church History course, and though the assignments for this class are more informal (in common language, etc.) than in Old Testament class, I do believe they are valuable in certain sense. It’s all about making the past accessible to everyone, right? Please feel free to interact with this as you so choose! I hope everyone has a great Tuesday. 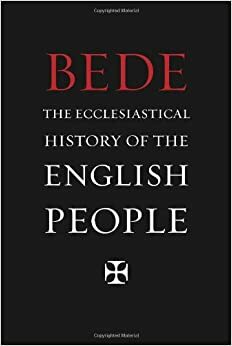 This week’s assigned readings covered about 400 years of church history, ranging from about the tenth to fifteenth centuries of the Common Era. Over that time, there was a somewhat cyclical pattern of theological development, abuses within the hierarchical Catholic Church, and reformation-minded individuals who would come to symbolize a more authentic application of the message of Jesus for the society at large. For this assignment, I have selected two significant people from this latter reformation-minded group. 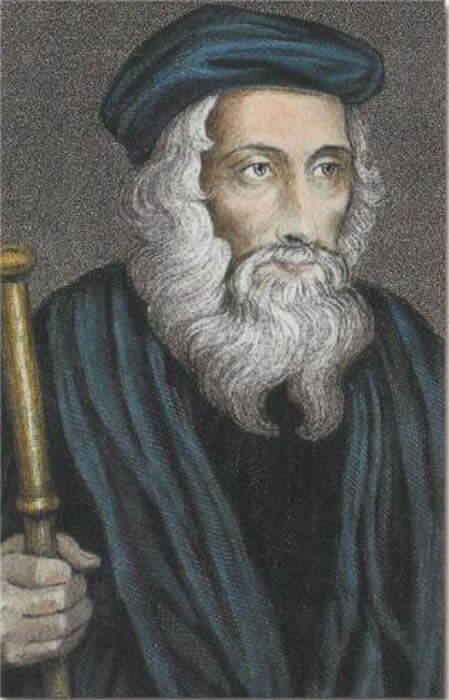 John Wycliffe: Whereas St. Francis sought a certain harmony with the church establishment, from the very beginning John Wycliffe took a more confrontational approach. An Oxford University philosopher, Wycliffe opposed transubstantiation and was condemned by the pope for not backing corrupt priests. Though he did not use this terminology, Wycliffe essentially believed that churchgoers could achieve a relationship with God without the mediation of a priest. This belief was central to his most-remembered feat, the first thorough translation of the Bible into English (late fourteenth century). Known as the “Lollards,” a group of his followers assisted in translating the Bible and carried on Wycliffe’s legacy to the degree that Wycliffe is sometimes called the “Morning Star of the Reformation.” Unfortunately, the Wycliffe Bible is fraught with errors, and is written in difficult-to-read, antiquated English. From a more systematic standpoint, it was translated from the Latin Vulgate, which renders it less significant than William Tyndale’s translation from the original Greek, Hebrew and Aramaic, though Tyndale’s version appeared some 130 years after the Wycliffe’s. Somewhat ironically, Tyndale would come to face staunch opposition to his Bible translation project, in part from the church’s fear of Wycliffe’s Lollards. However, both Wycliffe and Tyndale shared the dream of a Bible that would be available in the common tongue, and for his undertaking Wycliffe should be remembered fondly as a challenger and reformer of the church establishment. Though they preceded the Great Reformation, St. Francis of Assisi and John Wycliffe should be metaphorically viewed as stepping stones to the porch of Martin Luther and other great thinkers whose perspectives came to challenge the ills of the medieval Catholic Church. Both are significant figures whose contributions to Christian development should not be forgotten. Robert G. Clouse, Introduction to the History of Christianity, ed. Tim Dowley (Minneapolis: Fortress Press, 2002), 272. Tim Dowley, Introduction to the History of Christianity, (Minneapolis: Fortress Press, 2002), 344. Wholesome Words, “John Wycliffe, Bible Translator, Morning Star of Reformation,” http://www.wholesomewords.org/biography/biorpwycliffe.html (accessed October 17, 2010).